"You're lucky - you know what it was like before." Ex-Bint Boy, who is 20, said that the other day. We'd been talking about some aspect of technology, as I'm writing yet another book about the internet. When we discussed exactly how 'before' it all was, he was quite astounded. He can remember a time before Facebook and YouTube, of course. But he didn't realise that it wasn't only the web I didn't have as a child. My own Bints are well aware of the strictures of my early life because I used to impose sporadic '1960s days' on them when they were not allowed to use anything that wasn't available to me in the 1960s. It was actually a game, and although I tried to get them to do the whole day, the Smaller Bint rarely made it beyond 11 am before cracking. No computers, games consoles, tablets, mobile phones of any type. No wireless anything (including landline phones). No digital tv or radio - indeed the only TV you are allowed is BBC1, BBC2 and ITV and you have to watch them set to black and white. 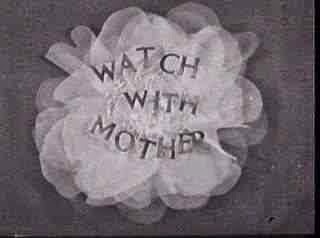 You can only watch TV at times when children's programmes were broadcast: Watch With Mother at lunchtime, then from about 3:30 onwards - until Magic Roundabout before the 6 o'clock news.You can listen to Listen With Mother on the radio. If you want to take a picture, you'll need a film camera and you'll have to take the film to a chemist to be developed and pay for the pictures. Yes, really. And it might well be transparencies, that you can only view with a projector and a bunch of bored neighbours. You'll have no clothes with velcro; no lycra or indeed any artificial fibres except rather nasty nylon, polyester and crimplene. No trainers. No backpacks. No leggings. No sweatshirts/hoodies. No t-shirts. Your knickers and tights will be saggy because there is no elastic in the fabric. If you are a girl, you will have to wear a skirt. If you are a boy under 11, you will have to wear shorts. Your legs must be cold - there is a gap between your socks (which fall down) and your skirt/shorts. Colouring-in will be done with crayons, not felt-tips. No gel pens. No highlighters. No post-it notes. You probably can't go anywhere in the car, because even if your family had a car, it would have been taken to work by your dad. 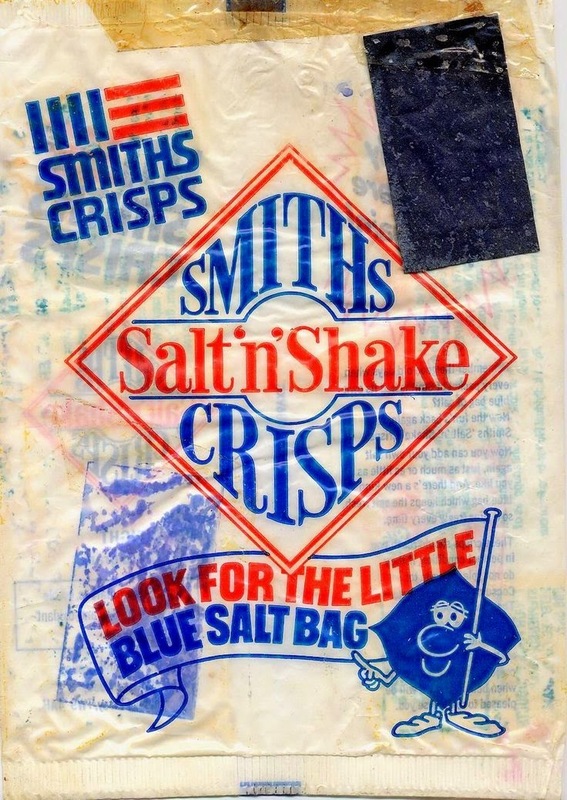 Crisps are plain and have a little pack of salt - you have to sprinkle it yourself. (You can still get these, as a novelty.) That's why salted crisps are called 'ready salted' - because the salt is already on them. There's no microwave oven, no freezer (for most people). You might have a fridge, but there won't be any ready-meals in it. You have to cook with ingredients. You probably have sandwiches as your evening meal and you have them at about 5 or 6 pm. 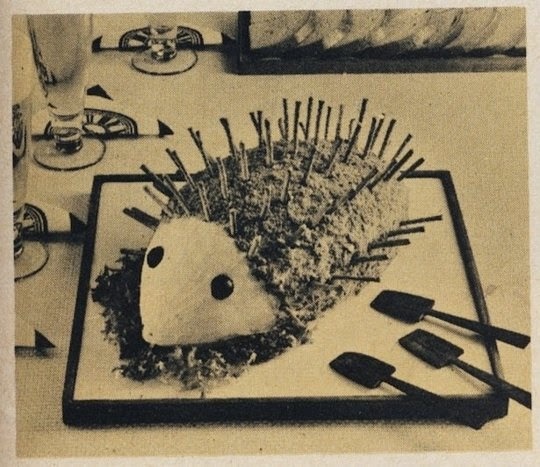 There is some fun to be had making 1960s meals, actually - you might not realise it, but you can still buy Vesta curries, Bird's custard and Angel Delight. I'm not sure whether you can still make school-issue Spam fritters or whether the space-time continuum has somehow made that impossible. Even your ingredients are restricted - no courgettes, peppers, aubergines, brocolli, pineapples, kiwi fruit, out-of-season soft fruit, exotic fruit and veg of any type. Potatoes are white and muddy (no fancy purple or red potatoes and certainly not black ones unless you have let them go off). Carrots are muddy. Cabbages might have caterpillars on them. Raspberries have maggots in, but it's OK as they float out in the evaporated milk. Nuts come in shells and need cracking. Except peanuts, which you can open with your fingers. You most certainly cannot have your shopping delivered by the supermarket. For one thing, there isn't a supermarket. But you might buy food from door-to-door butchers, fish mongers, veg sellers, bakers. Meat is bought in chunks and wrapped, bleeding, in brown paper. Ditto fish, but leaking salt water rather than blood. There are no wheelie bins: your dustbin is made of metal and is smelly. If you have some large items to get rid of, you can't order a skip. You will have to wait for the rag-and-bone man to come with his horse and cart. Your milk is delivered in glass bottles every morning. In the winter, birds drink it, pecking through the metal top. Try to put some bird-spit (and salmonella) in your milk for that authentic 1960s taste. You're going to have to go to school by bus or on foot. Or cycle. You will have to drink a disgusting bottle of tepid milk at break time - or try to use your body-heat to melt a frozen-solid bottle of milk if it's winter. If it is winter, you will also need to wear your coat in the classroom until it warms up. You will need to crack the ice in your ink-well before you can do any work. Your school lunch will be beyond horrid and children in Biafra would be glad of it. You might spend the afternoon knitting brightly-coloured squares that will be sent to those same unfortunate children in Biafra. Your granny might suggest you use 'day-glo' colours because they show up so nicely against their dark skin, dear. If you have poor eyesight, you can't wear your contact lenses. You will have to wear glasses - probably extremely ugly plastic NHS glasses. With your glasses on, you will see endless coverage of the Vietnam War, in which the US dropped more tonnage of bombs on a small Asian country than were dropped on the whole of Europe during the Second World War. You can listen to the Beatles, the Rolling Stones, Sandy Shaw, Petula Clark... but only on your record player, or when they happen to come on the radio/TV. If you go to the cinema, there will be only one screen, so you have to see the film that is showing (no choice). There will be an interval when you can buy a choc-ice if your parents let you, but it's quite expensive so they probably won't. If you have a dog, you will need a licence for it, even if it's not a killer pit-bull. If your paternity is in dispute, you will just have to argue it out with your parents as there's no DNA testing. You have to call adults Mr and Mrs and Miss - or, if they are friends of your parents or neighbours, you might be allowed to call them Auntie and Uncle.They will all feel free to tickle, tease, touch, bully and antagonise you in whatever way they like and no one will take any notice of your objections. If you are a woman, you will be slapped, pinched, subjected to sexist banter, unwanted attention, discrimination at work and elsewhere and will be badly paid. You will be scorned if you work at all if you have children. Why aren't you at home cleaning the house and cooking your husband's dinner? If you are not white, don't even bother going to the 1960s. Ditto if you have a disability or any mental illness. 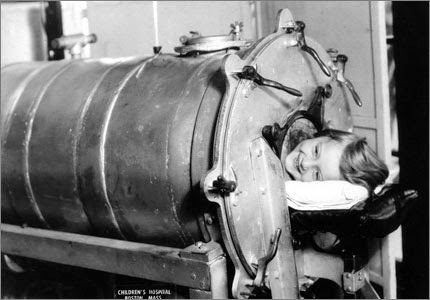 Don't forget to get your newly-introduced vaccinations so that you don't end up in an iron lung. Or dead. Some of your friends or neighbours won't have the usual configuration of limbs. You might not, if your mother took thalidomide while pregnant. There are children with Downs syndrome and they are quite common - no one can scan or test their unborn baby and decide whether to keep them if they are not 100% 'normal' ('normal' was big in the 60s). Everyone, everywhere will be smoking, with no regard for your presence as a child (we can't emulate that one). You can play boardgames and with things like Lego (but only bricks and windows, not special shapes) - no electronic or battery-operated toys of any kind and relatively few plastic toys. Most things require some effort/imagination. If you are bored, you can go to the park. Don't accept lifts or sweets from strangers. Look out for the local policeman on his bicycle. You can ask him directions to somewhere, or what time it is. He won't have a gun, won't assume you have drugs in your pockets and might pat you on the head. You can't lodge a complaint about inappropriate touching if he does. He isn't a woman, ever. If it is your birthday, you might have a party. It will be at home. There will be sausages, crisps (just plain, salted), home-made cakes, jelly and ice cream. If you have a party bag, it will have a sweet and a balloon in it (but you probably won't have one at all). You will get cards with your age on and, if someone is generous, one will have a badge with it. You will get perhaps 1s or 2s pocket money (5p or 10p). If you spend it on sweets, you can't eat them all at once. No one will ever have eaten an entire (smaller-than-now) Mars bar in one go. Your meals will be smaller, and on a smaller plate. No one will care if you eat lots of butter, full-fat milk, fatty meat or sugary cakes and biscuits. You will not be encouraged to eat five fruit and veg as they are expensive and pointless (except for the 'fibre' that keeps you regular). 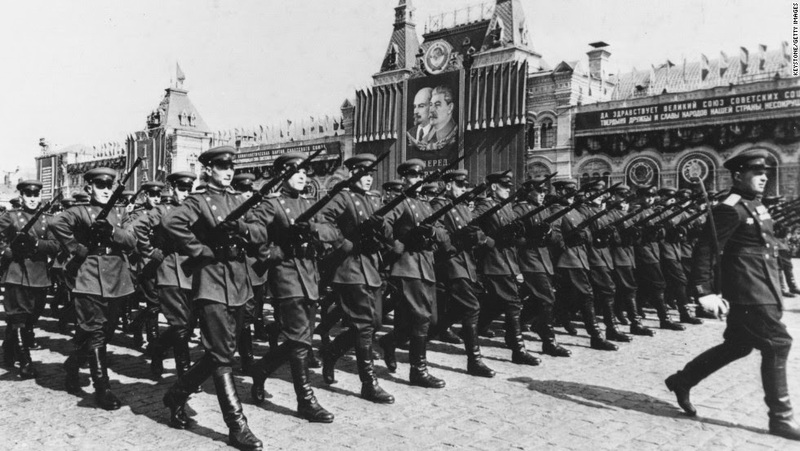 Someone will always be talking about the War - the Second World War if it's your parents, the First World War if it's anyone older. (Actually, that bit's quite easy this year.) They have seen and endured things you can't imagine - and you don't have the internet or a load of videos to help you imagine it, so you really don't know, except what they tell you. Oh - and remember most of the world was black-and-white in those days. The black-and-white world might end at any moment. You live in the shadow of the Cuban Missile Crisis and imminent nuclear destruction, the bomb about to be dropped by the USSR. You know that you have to get under the table if there is a nuclear attack. You can't travel to Eastern Europe. There is no euro, or eurozone. If you go abroad (you won't) you have to take travellers' cheques. There are no charter flights. You will probably go on the ferry. Britain has bits of an empire left. Zimbabwe is still called Rhodesia. Hong Kong is still a British territory. Your school atlas might be so old that it shows India as part of the Empire (mine was - only 20 years old). Men go into space and will land on the moon. This is considered the most significant event in the history of the world. There's a school holiday coming up - why not go back to the 1960s for a day? It's fun and educational. I don't think ex-Bint-Boy realised just how very different it was. And it's only 50 years ago. Anyone over 30 or so has lived through the fastest changes the world has ever seen; perhaps it is a privilege after all. I remember the sixties. We had a landline phone. 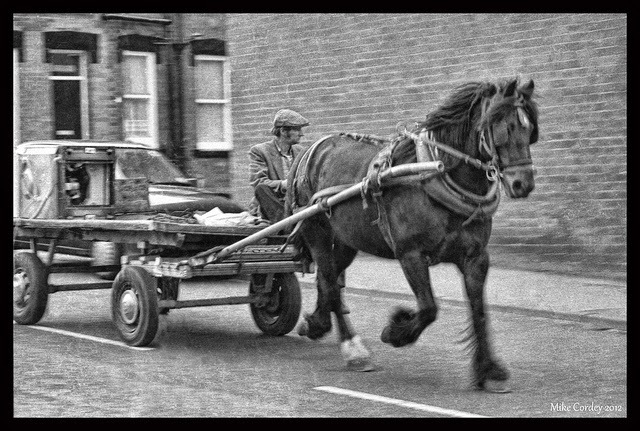 There were no supermarket deliveries, very few supermarkets(there was a small family one down the road) but milk was delivered, often in a cart with a lovely horse pulling it(I used to run outside to pat the milk horse, a white mare called Lady). No CDs or DVDs but we had a record player and TV here was the ABC, Channels 7, 9 and 0. The radio was always on in our kitchen and there were plenty of programs. And I went to see a film at the local cinemas(there were two!) most weekends. You got two films, a newsreel and a cartoon, sometimes a documentary. No personal computers, but I taught myself to type on my sister's typewriter and I wrote in old exercise books with space left. We probably had more choice of fruit here than you did, because Australia has a variety of climates and grows its own. I wore dresses but also shorts. I got my first camera in Grade 4. 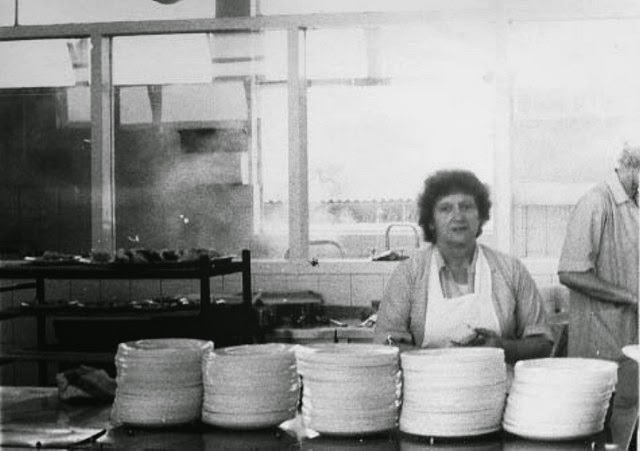 You could buy colour film, though it was a luxury(now black and white is the luxury, mostly used to be artistic). And my ambition was to be an astronaut. Ah, but I DID have a hoody when I was about six, which would be in 1964. My little sister had a matching one. They were made of stretchy toweling, and it had a hood and a sort of built-in muff pocket to put your hands in at the front. That's why youths in hoodys look like big toddlers to me now! Great post, Anne. It takes me right back. I don't remember using dip pens or inkwells. We did use fountain pens that you filled from a bottle. But then I wasn't using pens of any sort until the second half of the decade. We did use slates in infant school though. And when you're watching TV with its three channels, one of children has to get up and switch channels. No remote controls. Yes, I remember all this! And like you, Sue Bursztynski, I wrote my first stories in the unused pages of old school exercise books. I remember a lot of what I'd now consider unhealthy junk food. But no wonder most people were slimmer back then: all that walking, scrubbing dirty vegetables, heaving wet washing from tub to spinner, and having to get up to change TV channels. No duvets either - slidy slippery eider downs which fell of every night. No heating upstairs, ice forming inside the windows - ah, halcyon days. We niver 'ad it so good.... etc etc. Brilliant post - absolutely loved it. Oh yes, Miriam, no duvets! I forgot that. 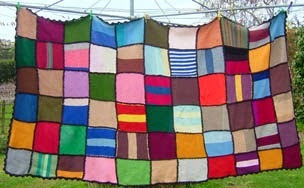 Blankets. And linen sheets so cold they felt wet. I still had ice on the inside of the windows in the 80s and possibly 90s - a feature of poverty as much as time-period (at least if you live in an old house). Sue - thank you for a down-under view of the 60s - that's great! Richard - yes, switching channels! Lots of memories for me here, too. And yet, at the time it seemed perfectly normal! I was born in 1960 and it all sounds much worse than I remember! I never minded having a dummy dipped in condensed milk and a knickerbocker glory at the Wimpy was exciting. The Christmas tree was put up on Christmas Eve (though we had a gold sprayed branch). Like Richard, I remember the frost patterns inside the bedroom windows and we had sheets, blankets and hot-water bottles. There was no central heating and baths and hair washes were weekly. Never had ink-dip pens (fountain pens with cartridges at secondary school in the 70s). And I suspect nowadays I wouldn't have been thrown out of nursery school after just one day because of bad behaviour. That school milk was gross, as was tepid milk at home because at first we only had a pantry and not a fridge. When we did get a fridge with a little ice compartment we ate a lot of fishfingers and one time my grandma babysat and she had no experience of frozen food so the fishfingers were still frozen in the middle but we had to eat them. And talking of my grandma, she was old fashioned and insisted we used a chamber pot at nights when we visited. Most memories are of my free time outside, spent in the woods, stream and bomb crater, and the estates - on my tricycle and then bicycle. I walked to school on my own, even in infant school, despite having to cross several side roads. Oh, I could prattle on for ages. Thanks Anne for bringing back memories and the 1960s day is an intriguing idea. Oh, dear, Anne, I think you have a spam comment here! Yes, I used fountain pens, with cartridges, not dip pens, though our desks still had holes for inkwells. What a great list. I was there too. The great thing I would want to do if I went back is read all the Marvel Comics when they actually came out! And it was the hey-day for Sci-Fi so I would go down the library and read all the great books – on my Raleigh bicycle (only 3 gears), horizontal handlebars and heavy. I wouldn't be allowed to play outside if it were a Sunday. Everywhere would be closed anyway, since shops weren't allowed to open. But I had a train set and a racing track, both electric, as well as clockwork and wind-up toys such as cars and rockets (incl. chemical ones - probably wouldn't be allowed now on health and safety grounds) and Meccano, for budding mechanics. Eee, tell kids that nowadays and they think you're mad. But it were fun.